Here is an article about the upcoming I Don't Have Enough Faith to be an Atheist seminar being held at Hood College February 24th and 26th. Please contact us here at Truthbomb if you are interested in going with our group! To get all the details, see here. My thanks to Jake M., a new member of our Truthbomb team, for supplying us with this article! Dr. William Lane Craig has debated many well-known intellectuals and atheists. A comprehensive list of his debates can be found here. In this post, I want to draw attention to a slightly dated, but very relevant, lecture by Dr. Craig entitled The Absurdity of Life without God. In this lecture, Dr. Craig demonstrates why atheism does not correspond with reality. Also, from Dr. Craig's recently re-released book, Reasonable Faith, you can read a chapter by Dr. Craig bearing the same name as the lecture. Check that out here. Finally, you can find numerous audio, video, and study resources offered at Dr. Craig's Reasonable Faith Tools website. 1) See comments section, http://www.veritas.org/media/talks/408. I just wanted to take a moment and personally thank those of you who stopped by the blog yesterday and participated in Greg Koukl's Tactics Blog Tour. Your questions were respectful, thought-provoking, and much appreciated. Truthbomb Apologetics would like to welcome Stand to Reason's Greg Koukl to our blog today. Mr. Koukl's newest book, Tactics, has just been released. To learn more about it, see here. Today on the blog, Greg will be answering two questions and then interact with you the reader, via the comments section. Please feel free to ask Greg follow-up questions and offer your thoughts in the comments. "A common slogan among modern atheists is that they simply, "lack belief in God," in the same manner they lack belief in the Santa Claus, Zeus, etc. In other words, they claim to have no position in regard to the God's existence and thereby feel no need to take intellectual action in defending their atheism. How would you respond to that?" A number of years ago, Gordon Stein, the late editor of Free Inquiry magazine, made this move while sitting next to me during a radio interview with Dennis Prager. I think this is, simply put, a clever move of intellectual dishonesty, and I think any trained thinker who makes this claim knows it. Here’s why I say that. Given any proposition (some claim about the way things are), there are three and only three possible responses to it. You can affirm it, you can deny it, or you can withhold judgment for lack of ability to do the first or the second (or, possibly, for lack of interest). In the debate about God, the first is called a theist (of some sort), the second an atheist, and the third an agnostic. It is clear that Gordon Stein (for example) is neither theistic nor agnostic (people who just don’t have an opinion or do not care about the issue do not go on radio shows to talk about their indecision or apathy). That leaves only one logical option remaining for Stein: He denies that God exists, which is why he is called an A- (not) theist (God)—a person who says there is not a God. Here’s another way to break it down logically. The law of excluded middle says either “A” or “not-A.” Either God exists, or he does not exist. There is no third category. If someone denies “A,” then “not-A” is the only remaining option. Many forceful arguments trade on this rule of logic, by the way (WL Craig’s version of Kalam, for example). Evidence against the first side of the equation, becomes evidence in favor of the second side, because it is the only remaining logical option (e.g., evidence against the possibility of an eternal universe is evidence in favor of the view that the universe is not eternal, but had a beginning). My point is to underscore the logical, rational constraints governing discussions like these. Since atheists are usually (in their modernist tradition) the champions of reason and rationality (the “brights,” to use Daniel Dennett’s euphemism for his kind), then they ought to live according to its rules. This move is a self-serving departure from rational principles. That’s why I say it’s dishonest. Pardon the judgment, but I think it’s justified. Look, these folks do not simply “lack a belief” in Santa Claus since I am certain they are not neutral on the question (“Maybe there is a Santa Claus, maybe there isn’t. I’m on the fence.”) No, they believe there is no Santa Claus, Easter Bunny, Zeus, Leprechauns, etc. They also believe there is no God and they should say it that way. BTW, even agnosticism requires justification. Provided that arguments are offered for denying or affirming a proposition, the agnostic who withholds making a judgment should be able to say why his withholding is the reasonable thing to do. He should be able to explain why the support for the other two options is not adequate. There is no free ride, here. Everybody is in the game. Anyone who wants to participate in the conversation must ante up, that is, be prepared to give reasons why whatever position they hold (belief, rejection, or agnosticism) is sound given the current state of the evidence. As it is, I think this move that has become popular with atheists is simply an anti-rational rhetorical attempt to avoid doing any heavy lifting in this discussion. That’s why I say it is intellectual dishonesty. If she does agree, ask which of the three describes her own position. It’s not the first, and she denies the second (because she’s trying to avoid making a claim) so it must be the third. Then ask, “Are you withholding judgment because you think the evidence is 50/50, or are you just uninterested and apathetic towards the issue.” If she says 50/50, that’s fine. Then she would be open to any evidence that tips the scales and would not be disagreeable towards your theism. If she simply doesn’t care, then why is she arguing with you in the first place? If she doesn’t agree that those are the only three options, then ask, “Which option did I leave out?” If she wants to insist on a fourth category “I lack a belief,” point out that this is really the third option under a different description. Ask why she lacks a belief, then proceed with that issue as I described in the paragraph above. I think I need to spend more time on the issue of the historical reliability of the New Testament. I feel relatively strong, here, but more depth in that area would be helpful since there is such an aggressive attack at this point, and the Gospels as primary source historical documents are so pivotal to the Christian’s case. I have often said that there are many ways—at least in principle—to disprove Christianity. This is one of them, so we need to be careful to martial some of our forces, so to speak, at that point. We encourage you to ask Greg questions about his responses and/or offer your own thoughts on the topics up for discussion. 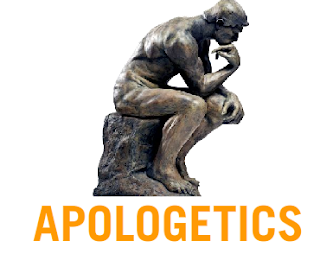 Quite possibly my favorite blog on the net, Brian Auten's Apologetics 315 is one of the top apologetic resources on the web. Packed with quality articles, massive amounts of audio (including sermons, debates, and various podcasts/lectures), and detailed book reviews, Auten's blog is an invaluable resource for the seeker of truth or the apologist. I encourage you to visit Apologetics 315 and take advantage of the various resources that can be found there. It is not uncommon for the follower of Christ to be challenged with the poor behavior of other believers as evidence against the truth of the gospel message. Furthermore, some have even turned away from their faith in Christ because they failed to detect any Christ likeness in the Christians around them. However, the question must be posed: "Does the truth of Christianity rest upon the character of those who claim to be Christians?" C Michael Patton, at Parchment and Pen: A Theology Blog, challenges what I believe to be a huge misconception in a blog article entitled, Christianity does Not depend on your Character Witness. "If we don’t love one another, it does not make Christianity any less true. It only makes our profession to be Christian less true. Likewise, if we do love one another, Christianity is no truer than before. Christianity is based solely on the person and work of Christ." If you are a skeptic who has in the past rejected Christianity because of the actions of other Christians or if you are a former believer who walked away from your faith because you didn't see more Christ likeness in your fellow Christians, this article is for you! I highly recommend it and you can check it out here. Does the picture above depict how you view the relationship between Christianity and Science? It has become commonplace to pit Christianity against "reason" and science in an effort to discredit the belief in a Creator. In this brief article, Kenneth Samples provides evidence of the historic alliance between Christianity and Science. Truthbomb is excited to announce that Greg Koukl, of Stand to Reason Ministries, will be stopping by our blog on February 18th, 2009 to answer questions and interact with readers via the comments. Mr. Koukl will be joining us here as part of Zondervan's Book Blog Tour, which features Mr. Koukl's forthcoming book, Tactics. He will be answering different questions at each tour stop and responding to your questions in the comments. Be sure to follow Greg around during the week and stop by Truthbomb to interact with him on February 18th, 2009! It is with this type of "hand wave" objection that the denier of God often deals with the Anthropic Principle, that says the entire universe had to be formed in a certain way in order for it to contain life at all. Obviously, for the atheist this principle raises an important question: Who or what did the forming? Further, is chance truly a viable option in explaining the "fine-tuning" of the universe we inhabit? The objection above, used by atheists like Richard Dawkins and Steven Weinberg, completely fails to address the the fact at hand: it is extremely improbable that our universe came about by sheer chance. Our existence does nothing to explain the improbability of our universe. We may be able to ponder and study the "fine-tuning" of our universe, however, this does nothing to explain the extreme unlikelihood of it's existence. 1. Steven Weinberg, Facing Up: Science and Its Cultural Adversaries, p. 5; as quoted by Dinesh D'Souza, What's So Great about Christianity, p. 132. 2. Dinesh D'Souza, What's So Great about Christianity, p. 132. "Belief in God is unreasonable or delusional"
Many who deny the existence of God most often do so with an appeal to reason. It is not uncommon to hear someone claim that those who believe in God are "delusional." "We may reverse the tables on unbelief and say that to deny the reality of the Transcendent is unbelievable. For it must assume that one of humanity's most basic needs is being completely mocked by the world, leaving people with the real need for God but without a real God who can fulfill that need. Further, the denial of the reality of the Transcendent entails the assertion that not only some people have been deceived about the reality of God but that indeed all religious persons who have ever lived have been completely deceived into believing there is a God when really there is not. For if even one religious person is right about the reality of the Transcendent, then there really is a Transcendent. It seems much more likely that such self-analyzing and self-critical men as Augustine, Blaise Pascal, and Kierkegaard were not totally deceived than that total skepticism is right. It is simply unbelievable that every great saint in the history of the world, and even Jesus Christ himself, was completely deceived about the reality of God. Unless it is true that no person in the history of the world has ever really been truly critical of his religious experience, then it follows that the reality of God has been critically established from human experience. Experience -- hard, critical experience -- indicates that people are not being totally deceived. There is a reality basis for at least some religious experience. And hence there is a God (or Transcendent) to fulfill the human need to transcend." There seems to be some truth after all in the oft repeated, "Man is a God intoxicated ape." 1. Norman Geisler and Winfried Corduan, Philosophy of Religion (Grand Rapids, MI: Baker Book House, 1988), p. 76. "The miracles recorded in the gospels are legends that devoloped over a long period of time." Many claim that the miracles recorded in the Gospels (Matthew, Mark, Luke, and John) were legends, added later by believers who were simply exaggerating the life and claims of the historic Jesus. "There is no "new evidence" supporting the idea that the miracle-working Son of God was the result of an evolution of myth over a long period of time. To the contrary, recent discoveries have given more credibility to the content of the Gospels themselves. It is not enough for the skeptic to simply claim that Jesus' miracles are simply legend. The skeptic must provide sufficient evidence to support his or her claim. The person asserting the truth claim shoulders the burden of proof. The follower of Christ has solid grounds to believe that Jesus' miracle accounts are historically reliable. 1) Greg Koukl, A Short Argument for the Early Dating of the Gospels, http://www.str.org/site/News2?page=NewsArticle&id=6760.